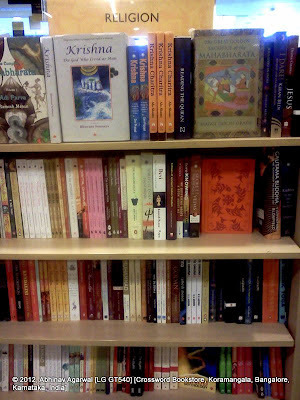 Of all the myriad pleasures that life sends our way, one of the more enjoyable one has to be the discovery of a bookstore. 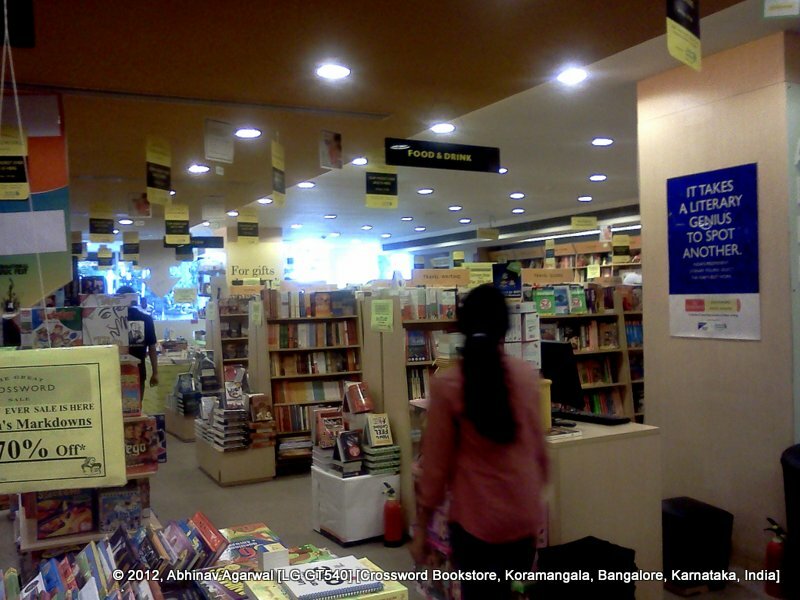 One such bookstore I, we discovered recently is the Crossword store in Koramangala. This is not a new store, and has been around for close to a couple of years. However, since we had not had occasion to travel by that road in some time, it had escaped attention. Coming back from a friend's party one weeked, a Saturday, I espied this store, bright, shiny, welcoming. However, it was late that day, so Sunday turned out to be the day to visit this store. The Sunday we went turned out to be a good day, since the store was not crowded - a dozen or so customers were strolling the aisles. Parking was not a hassle - and keep in mind there is not much by way of parking available outside the store, unless they have parking in the basement - which I could not spot. The store itself is large - perhaps the largest Crossword bookstore in Bangalore, larger than the one they have in JP Nagar, larger than the one they have on Bannerghatta Road, the Airport. I had tweeted their handle, @Crossword_Book, but didn't get a response. The children's section is also large, spacious, and a couple of sofas and stools can be put to good use. 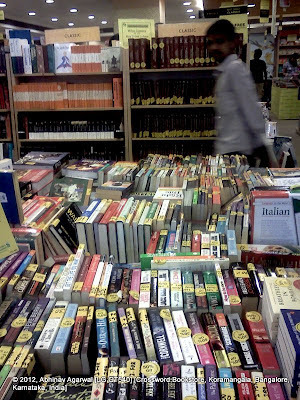 Indeed, you can spot parents and children there, poring over, reading, flipping over books. There is a Cafe Coffee Day store inside the store next to the children's section. 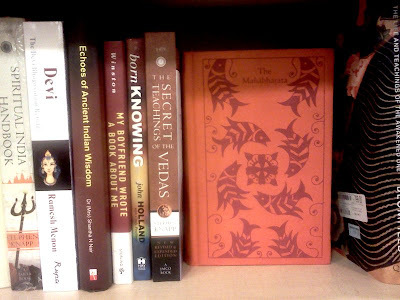 The other reason I liked this store is the curation - yes, I don't think, and I may be wrong, that all Crossword stores get the same selection of books to carry; that would be not only impractical because all stores are not the same size, but also because each store should and must carry books based on the human intervention and judgment. 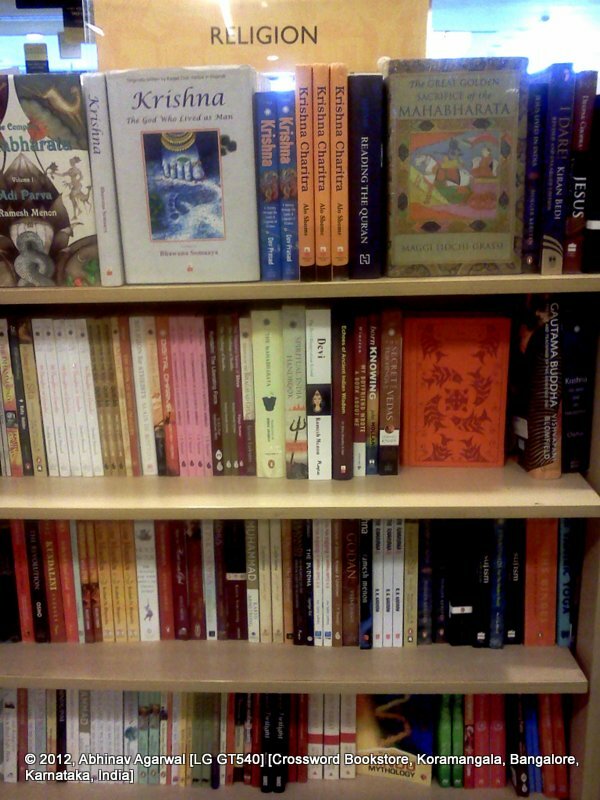 In that respect, the Koramangala store impressed me with not only with the selection of books, but also with the placement and choice of books to highlight. 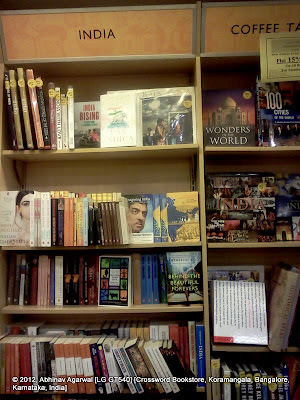 Their India shelf had the usual suspects listed, including Nilekani's "Imaging India" and Shashi Tharoor's "Pax Indica", but also the well-reviewed "Beyond the Beautiful Forevers" by Katherine Boo. 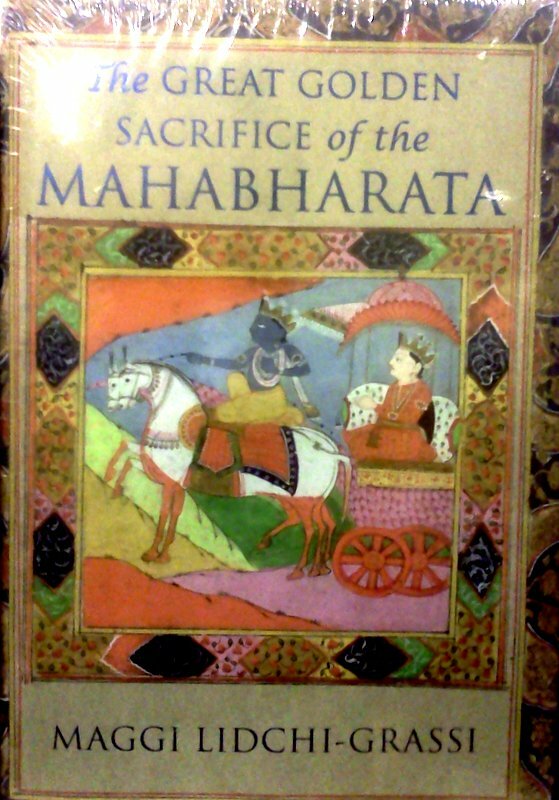 We stepped out of the store after more than an hour, richer by two Amar Chitra Katha 3-in-1 collections and one Judy Moody paperback, i.e., kids' books. 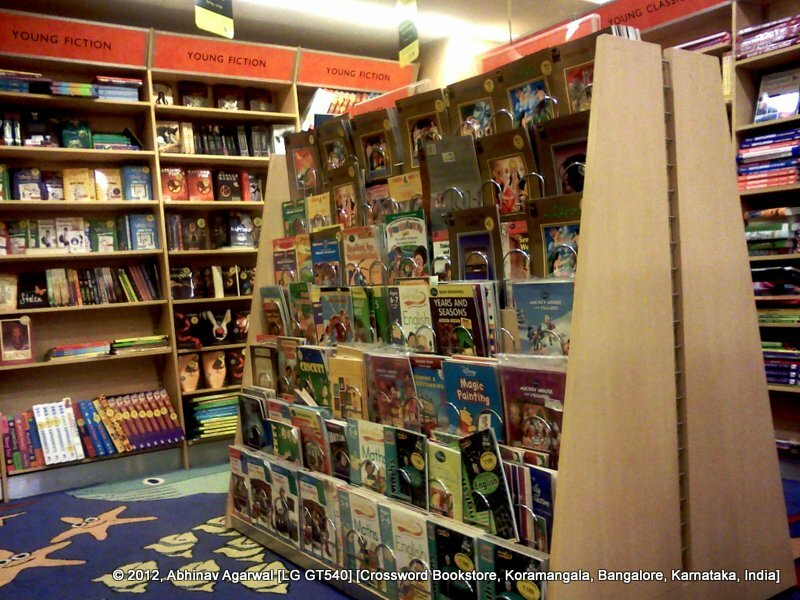 I should add that there are at least three bookstores I know of that are larger in South Bangalore. One is the Landmark store at the Forum Mall. While the Landmark store sells a whole lot more than just books, their books section is quite large. The second and third are the Sapna Book Store. One is their store in Jayanagar, which, while cramped, offers a very large collection of books - both academic as well as others, while their other store is in Koramangala, and is billed as India's largest book showroom. I have been there and had blogged about it last year (link).